Although a church at Stokesley is mentioned in Domesday Book, no visible remains survive from that time. 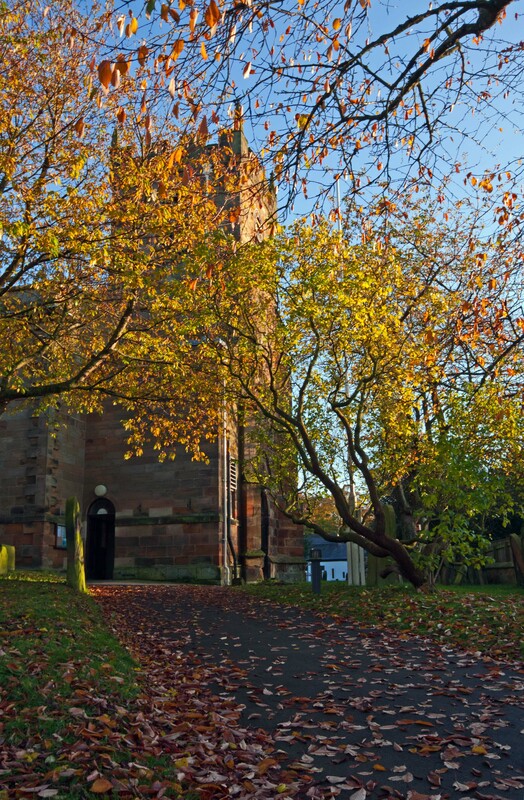 However, the churchyard itself still has a roughly elliptical outline, and this would tend to support the idea that a holy site was established at Stokesley even before the area was Christianised in the seventh and eighth centuries. 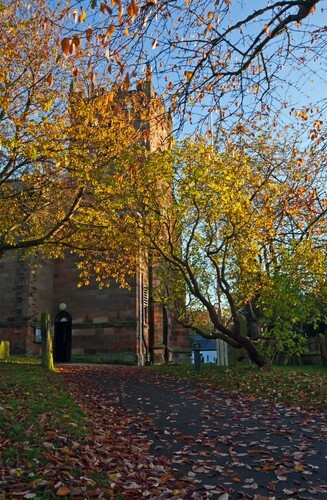 The present church is largely a result of rebuilding dating from 1771, although the west tower and part of the chancel are probably fifteenth century in date. Early mentions of the church seem to indicate a dedication to St Peter, a popular Anglo-Saxon choice especially after the Synod of Whitby (664). Its present day dedication is to Ss Peter and Paul. This too is an early dedication, having been used as far back as the 7th Century for the famous double monastery at Tynemouth and Monkwearmouth, where Bede wrote the first history of our islands in 'English' (Anglo - Saxon) rather than Latin! The original church in Stokesley would have been built by whoever was then the Lord of the Manor, and he would have claimed the right to nominate the priest and to collect the Church dues (Tithes). He would have used this income to keep the building in good repair and to provide the Priest with a living, but he would generally have made a personal profit from the church. However, not long afterward, the abbey made Lewin (or Leofwine) the priest in return for a twice-yearly fixed payment. This agreement gave Lewin the right to collect some of the tithes. This gave the priest the status of Rector rather than curate, and Stokesley is a rectory to this day. During the reign of Henry VIII, commissioners were sent around the country to find out about the priests and churches with a view to squeezing more money out of them for the king's own use. The rector of that time, Brian Hygdon, valued the rectorial house and glebe together at 30s, the tithes of calves at 20s, of lambs at 60s, of wool at 60s, small tithes at 20s, oblations 13s4d, and unspecified perquisites at another 20s. These amounts were dwarfed by the £20 value assigned to tithes of corn and hay. The total 'profit' returned was £30 6s 10d. We also know from this investigation that there was a chantry chapel1 (the Chapel of St Mary) in the chancel of the church. The position of this chapel may be indicated by the low blocked arch which is still visible inside the church on the south side of the chancel. Chantry chapels were closed down by Royal Decree soon afterwards, either during Henry's reign or that of his fiercely Protestant son, Edward VI. Many of them, like Stokesley's, were pulled down but others survived although no longer used for their original purposes. Henry VIII also closed down the monasteries in the 1530s and 1540s, and the rights of St Mary's Abbey over the church at Stokesley passed to the Archbishop of York, who remains a landlord in the town to this day. 1. A chantry was a small chapel set up by a donor where Masses would be said for the souls of specified person(s).